Laserfiche Solution Contributed By: Ryan Czyzewski, IS Manager, Thompson Investment Management, Inc.
Thompson Investment Management, Inc. (TIM) is an independent registered investment advisor based in Madison, WI, that offers investment portfolio management, retirement plan services and mutual funds to individuals, businesses and foundations. TIM manages investments for over 500 clients. 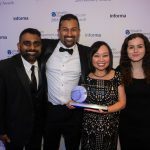 TIM must comply with retention rules set by the industry, such as the Investment Advisers Act of 1940 and store all documents related to both current and prior customers for several years. Some of the most important documents that need to be retained are correspondence between the clients and the firm. Examples include communications regarding investment recommendations, order execution, security transactions, complaints, etc. Here is how TIM automated the large volume of correspondence filing with Laserfiche Workflow. Every client is identified by a short name (SNAM). The SNAM consists of one letter and a three digit code. 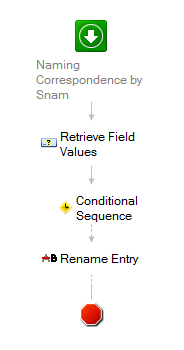 Every document in the repository includes the SNAM in the metadata as a customer’s unique identifier. Some older customers have another identifier called Qube Shortname, which is a remnant from the company’s prior contract management application. Documents are stored in the appropriate subfolder based on the client’s name. Emails or other pieces of correspondence are imported into the Correspondence – Incoming folder in Laserfiche. Email correspondence is imported with Laserfiche Snapshot, and paper is scanned in with Laserfiche Quick Fields. As soon as the document is saved in the Incoming folder, Laserfiche Workflow checks to see if the SNAM field is populated. If the SNAM field is populated, the entry is moved to the appropriate client folder for storage. 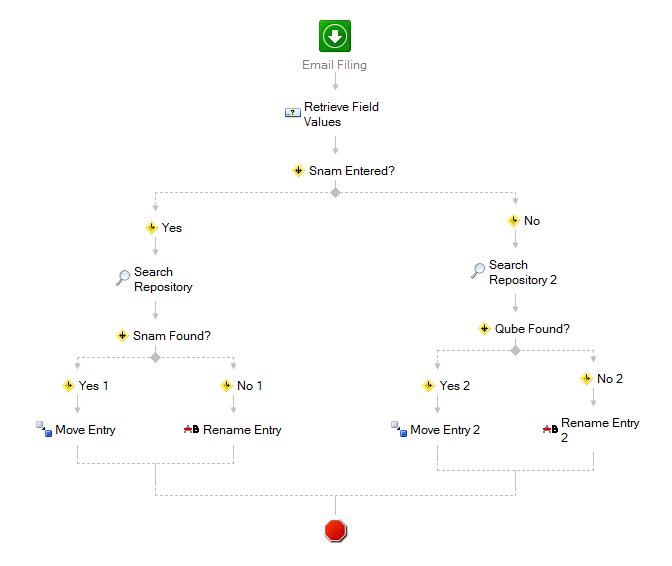 If the SNAM field is blank, Laserfiche Workflow checks the Qube field. If the Qube field has a value, Workflow moves the file to the appropriate client folder. If the Qube field does not have a value, the entry is moved to the “Folder Not Found Errors” folder and a member of the client services department must review it to populate the fields manually. 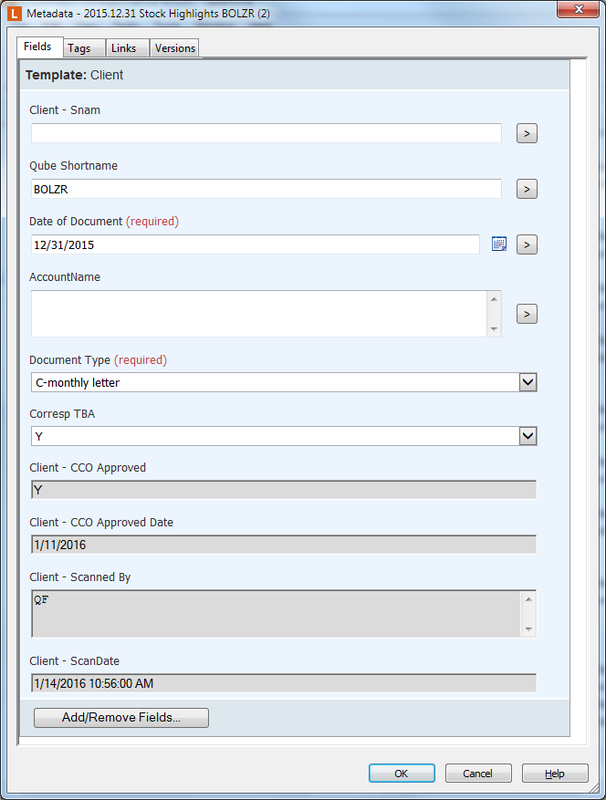 TIM uses Laserfiche Quick Fields extensively to process statements from custodians like Schwab and file them in the client’s personal folder. The statements are scanned in a batch and information is extracted from the document pages to automatically populate the metadata. 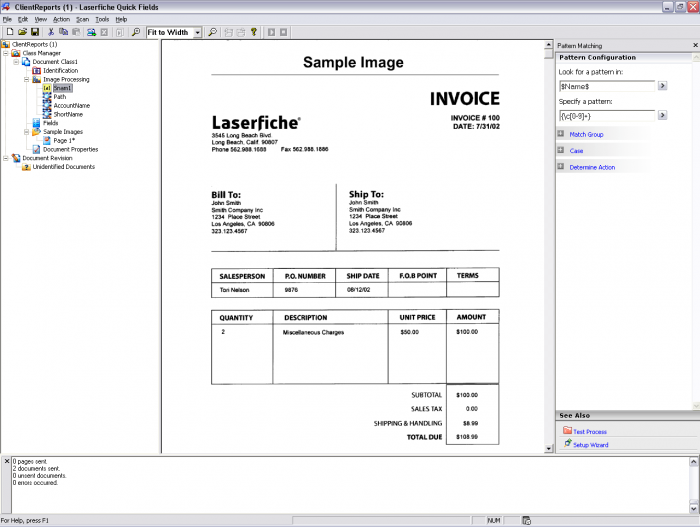 Laserfiche Quick Fields is also used to scan in monthly client letters. A client letter includes updates, reports and statements. Once those letters are processed with Quick Fields, Laserfiche Workflow picks them up and renames them according to the SNAM. Eventually, TIM plans on integrating Laserfiche with the client database to auto-populate some metadata values. It is much easier to see which documents require processing. A uniform naming convention simplifies document searching and retrieval. All documents related to each client are stored in a centralized location for easy access. 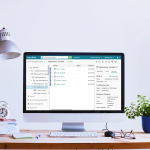 Get started with managing correspondence and other records in your organization. Download a free eBook: The Ultimate Guide to Electronic Records Management.